Zafehouse: Diaries has just been updated to v1.1.4. The update is our first significant content patch, adding new dilemmas, items, locations, occupations as well as a number of player-requested features. We also took the opportunity to perform a small upgrade of the game's rendering engine. This should make Zafehouse: Diaries run considerably better on lower-end systems and, hopefully, fix some graphical anomalies. A full list of tweaks, fixes and changes for v1.1.4 can be found on the forums. The patch can be downloaded from our support page. For Desura customers, please use the Desura client to update the game. Update: A hotfix, v1.1.41, has been released. We've just pushed out a new update for Zafehouse: Diaries, bringing the game to v1.1.31. 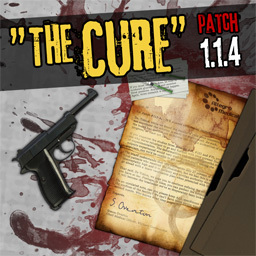 This is an interim patch before v1.1.4 to address some important issues with the game. As usual, you can find the patch on our support page. If you're wondering why the automatic update notifier in the game is not visible, we've disabled it temporarily while Desura approves the patch. A list of changes, fixes and additions for v1.1.31 can be found on the forums. 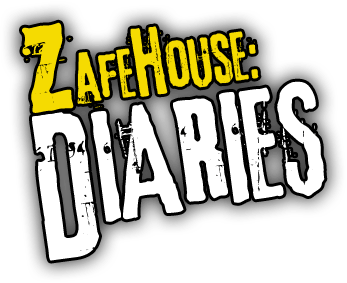 Zafehouse: Diaries now on Desura! It's identical to the version available direct from us, but if you're building up your Desura library, then this is for you. Just hit that big blue button. If you've already bought the game direct from us and would like to activate it on Desura, send us an email and we'll sort you out. A new update is available for Zafehouse: Diaries, bringing the game to v1.1.3. To grab the update, please visit our support page. v1.1.3 is a stability patch; we've addressed a number of crashes and bugs reported by users on the forums. A complete list of patch notes can be found here. One of the most exciting features of Zafehouse: Diaries is the ability for players to add their own content. No matter your comfort level with getting into the guts of games you play, there will be a way to add your own touch to Diaries. Just a quick update on our progress: we are at 1.0, which means the game is complete and ready to go. But wait! In Australia, we can't sell the game without classification, so we've sent it to the Australian Classification Board for review. We're hoping the game will be classified very soon, meaning we can still release the game by the end of August. Depending on how fast the cogs turn at the ACB, the game could be pushed back a few weeks into September. It's out of our hands, but we'll keep you posted as soon as we know. We've now fully implemented all core elements in Zafehouse: Diaries. The most important feature we've added is the win condition. A rescue chopper will arrive in a few days or weeks and you need to scour the town to find out exactly where, when and how to contact the chopper. The radio and rescue frequency are the most important items: you can get lucky when the chopper arrives by being in the right place at the right time, but without the radio and frequency, it'll just fly by. And finally, relationships can now be manipulated. Relationships affect just about everything you do in the game. If your survivors aren't getting along, they'll split up during combat, argue, hurt each other, and generally perform poorly at anything they do; when the group is happy, everything ticks along smoothly - barricades are slightly stronger, traps don't misfire as often, meals are prepared well and the group is generally better prepared for combat. While you have some indirect control over relationships by creating situations where positive experiences might happen, we wanted to make it more strategic. This is where rumours come in. 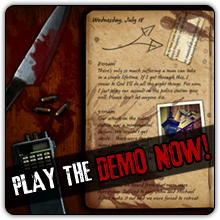 Your survivors all start with a blank slate - you know a little bit about them, but their past is hidden. By creating a rumour about one of your survivors, you reveal something about them to the group. This can have a positive or negative effect on relationships, so you have to be careful that your rumour won't backfire. You also don't have unlimited rumours - you need to create the right rumour at the right time, making this one of the game's most strategic elements. The game is on the final stretch now. We'll announce the release date soon.